2000 Man Of Constant Sorrow Lyrics Oh Brother S Soggy Bottom Boys Songs Where Art Thou? Album: Oh Brother, Where Art Thou? This song was featured in the movie Oh Brother, Where Art Thou?, which is based on the novel The Odyssey. The song relates to the story: the line, "I am a man of constant sorrow. I've seen trouble all my days" refers to Odysseus and all the troubles he had on his journey home. The Soggy Bottom Boys were a group that was made up for the movie with George Clooney as one of the members. The real voice was that of Dan Tyminski from the band Union Station, with backing vocals from Harley Allen and Pat Enright. Tyminski was later tapped by the EDM star Avicii to sing on his 2013 Bluegrass-inspired song "Hey Brother." This song was first published in 1913 by the blind folk singer Richard Burnett. Some artists who recorded the song include The Stanley Brothers, Bob Dylan and Jerry Garcia. The song won the 2001 CMA award for Best Single and a Grammy Award for Best Country Collaboration with Vocals. Released in 1961, Judy Collins' first album was called A Maid of Constant Sorrow, with the title track being a version of this song with the gender reversed. 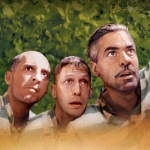 Etiketler: 2000 Man Of Constant Sorrow Lyrics Oh Brother S Soggy Bottom Boys Songs Where Art Thou?